Since 2009, proceeds from concessions and the Kernel Bowl have enabled the Mitchell Athletic Booster Club to donate more than $230,000 to the Kernel's school-sponsored athletic programs. Currently, there are 19 school-sponsored athletic programs at Mitchell High School. 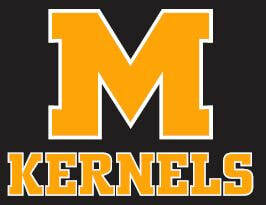 The 50/50 drawing provides post-secondary scholarships to Kernel senior athletes. In the past 19 years, $110,830 in scholarships has been awarded to graduating MHS students. In 2018 alone the Mitchell Athletic Booster Club was able to donate $45,000 to the MHS Coach's Wishlist and an additional $10,000 to the Joe Quintal Turf Field Project.